Should You Consider Green Pest Control Services for Your Commercial Property? The wave of the future is approaching and it’s definitely green! If you own a business, our NJ Pest Control green experts at Stern Environmental will strive to ensure pests are gone in an environmentally friendly manner. You can’t stop progress, but you certainly can facilitate it! We eliminate the source rather than using harmful chemicals to pillage and plunder. 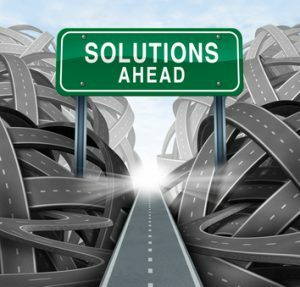 Our Integrated Pest Management Techniques include no intense toxic substances because we focus on controlling food sites, access points, and low toxicity solutions. We pinpoint what attracts pests, then come up with a reliable plan of action to combat the invading horde. Educational areas, home centers for the elderly, and various other establishments that house young and old are considering green solutions. Our NJ Pest Control addresses their unique needs and concerns with a professionalism dedicated to their well-being. Particularly vulnerable people with weak or compromised immune systems need to steer clear of harmful chemicals. We use green methods combined with every evolving technology available to protect your best interests and the health of those you love. Peer through the eyes of the experts to see what green techniques could mean for you. Going green and facilitating safe areas are what we at Stern Environmental do best! If you have any questions or would like to schedule an appointment click here now! While you have most likely heard of the brown recluse spider, there’s a good chance you haven’t seen one since they tend to live up to their name and remain shy and reclusive. 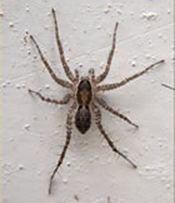 Like most spiders, the brown recluse resides in homes, although they prefer remaining tucked away in places receiving little to no activity such as attics, storage spaces, garages, and cluttered closets. They build their webs and nests in out-of-the-way places. Brown recluse spiders are nocturnal spending the midnight hours in search of food. The spiders are low-key and don’t go out of their way to bite humans, but when it happens their bite can become problematic causing pain, skin ulcers, and secondary infections. For novice spider hunters the brown recluse ranges in color from grey to light brown. It has eight slender legs that extend to cover an area the size of a half-dollar. The two most distinguishable characteristics are its six eyes and the distinctive violin-shaped marking on its body. Brown recluse spiders are most active in the spring when mating occurs, which results in around 50 eggs per egg sac. For all of your NJ pest control needs, Stern Environmental has the team, talent, and treatments to address your concerns. Call us for an inspection of your home by a professional NJ pest control technician who will target the problem and provide an effective resolution. When it comes to NJ & NYC pest control, cockroaches are among the most bothersome of all intruders. These bugs can be lurking in your home without you even knowing it. Because of this, it’s important to educate yourself on them. The more you know about cockroaches, the easier it will be to identify when you have a problem. • Cockroaches can live for as long as one week without their heads? • Some female cockroaches stay pregnant for life? • A cockroach can go two weeks without water? • A cockroach can go 30 days without food? • Cockroaches are capable of running up to 3 miles per hour? It’s no wonder these pests are difficult to spot. They’re even harder to kill. If you see a cockroach in your home or business, you can be confident that there’s more where that one came from. Still, there’s no reason for you to panic. It’s best to avoid pesticides that you purchase at the store. These are most likely just going to make the problem worse. Instead, contact Stern Environmental, your NJ & NYC pest control specialists. We understand that you want to rid your property of these pests and we’re dedicated to giving you the very best in pest control services. Contact us today!